What began with a “welcome to PCNA” email developed into a cross-cultural friendship grounded in the spirit of nursing. This spirit knows no boundaries and provides a strong foundation for human connection between colleagues. As Angeline Chepchirchir explored aspects of traveling to Baltimore for the recent 2018 Annual Symposium, she requested information and guidance from me, the only person she had contact with in America. 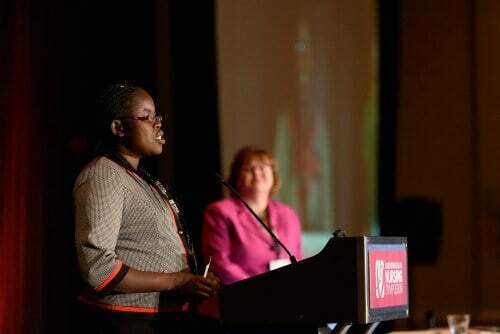 A medical-surgical nursing instructor at the University of Nairobi School of Nursing Sciences in Kenya, Angeline was a brand new PCNA member who had never been to the U.S. and was excited to attend the symposium and present her poster, “Cytokine Expression and Hypertension Comorbidity in HIV/AIDS patients at Kenyatta National Hospital, Nairobi, Kenya”. As a representative of the Membership Committee, I had written to her in February to introduce her to PCNA and over the next two months, we corresponded, discussing travel and accommodation options. 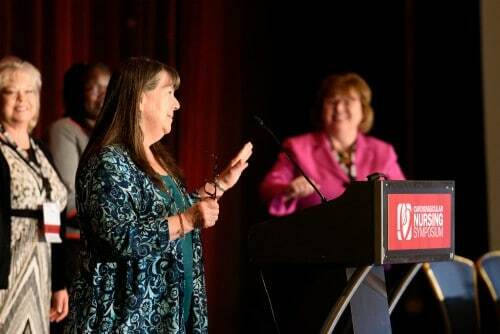 My journey to PCNA conference in Baltimore was actualized by Cheri Nichols, when she wrote me a congratulatory note upon my registration as an international PCNA Member. She also recognized my successful abstract submission for poster presentation. Cheri encouraged me to attend the conference and exuded confidence that we would meet together. As a means to support my fundraising efforts, she made an extraordinary offer to share her hotel room with me. Cheri became an invisible friend, whom I had no image of herself nor her having mine, until the day we met in the lobby of the hotel. Our encounter was great, as I met this charming lady and great mentor with an electric smile and never-ending desire to keep me in the know. I acknowledge Cheri’s humility, hospitality, and simplicity: the true values of a nurse! She introduced me to PCNA Board members at every opportunity and I had the privilege of interacting with them at arm’s length throughout the conference. I thank Cheri and everyone who made my journey a success!